Two fires broke out on opposite sides of Highway 58 near Santa Margarita Monday afternoon. One fire burned nine acres, while the other burned 2.5 acres. The larger blaze burned on the Santa Margarita Ranch, and the smaller fire burned closer to the town of Santa Margarita. 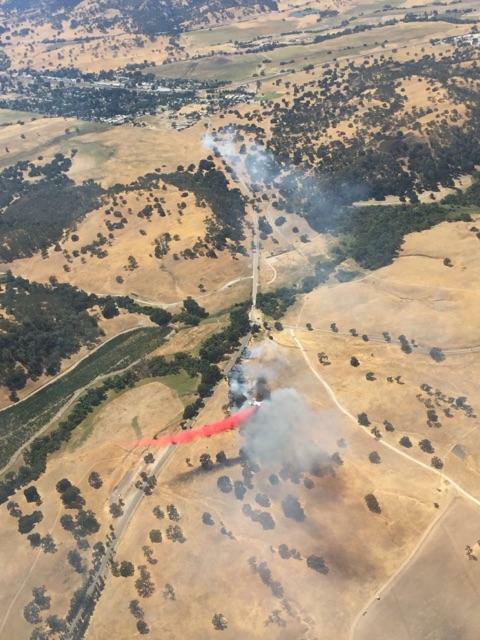 Both blazes ignited very close to the highway near Pozo Road. Firefighters contained the fires and remained on scene mopping up throughout the night. Fire officials are investigating both of the blazes. I drove by the incident after the intense activities ceased. Keeping an open mind, I do not understand how the fire could of been started on the upwind side of the road. The down wind side could of be icw with vehicular issues although both were out the passenger side of the vehicle which has considerations having nothing to do with the direction of the wind.